"Attending the club has given me more confidence, and I like teaching the younger children new sports. This is #MyStory!" Mariah has attended Club Brent for 6 years. During that time, Mariah has grown not only as an athlete but as a person too. Her new found confidence has enabled her to start helping others. Mariah is sports mad and even when she has an off day, she begs her Mum to bring her to the clubs. At this year’s DSC Summer Festival, Mariah won Club Women of the Year. Mariah was chosen for the award from almost 100 girls and women that attend our 11 Community Clubs. Winning this award demonstrates the extent to which Mariah stands out for her dedication and sports prowess within the Community Club programme. Mariah’s coach at Club Brent commented, “Mariah has become a young leader within the club and is always helpful. She is a very motivational for other members.” Mariah has attended our Adapted Sports Course as well as recent activator courses. Completing a Level 1 coaching badge is Mariah’s goal for 2017. Mariah’s story truly shows that if you love sport and attend a DSC Community Club there are many opportunities out there for you too. 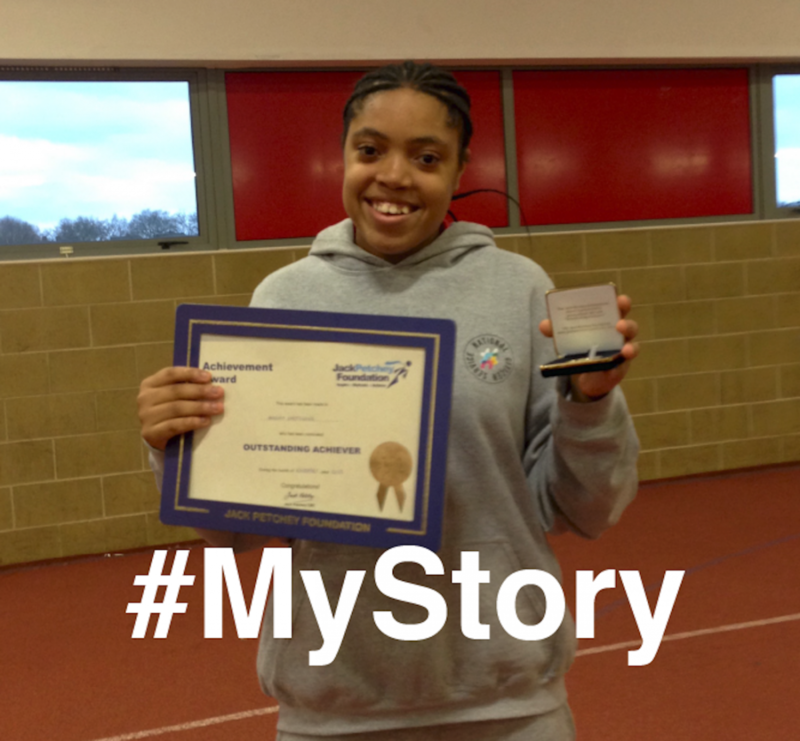 For more information about the #MyStory campaign please contact us on clubs@disabilitysportscoach.co.uk or call 020 7021 0973.